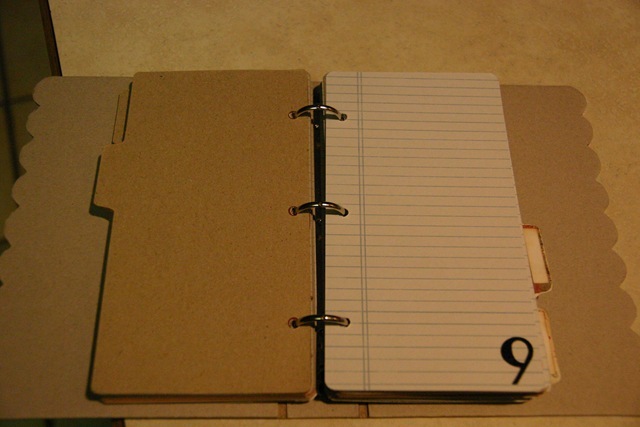 Just yesterday I was inspired by a 6 X 9 mini book I had on a shelf in my scraproom and some recent Christmas purchases that I decided to assemble this book. I'm so excited to have my mini book ready for Christmas already. It's going to be a combination of the many classes I've taken over the years or that I've seen being completed during the month of December. 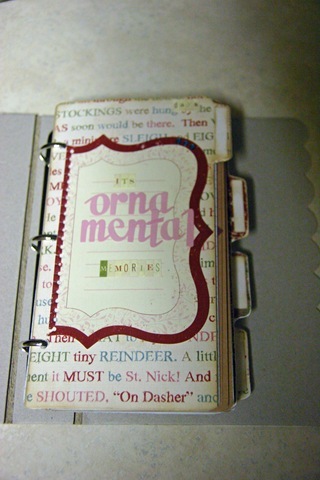 Last year in December I took the 31 days of Christmas with Melodee Langworthy at Scraptales in Brighton Michigan. 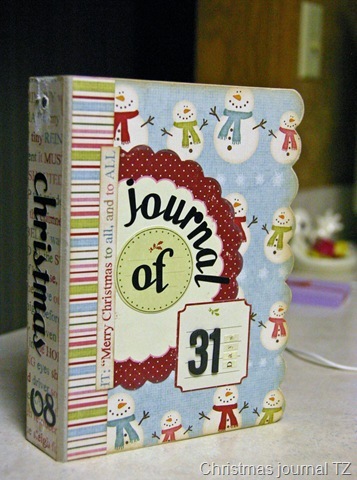 And for the past 3 years I've done Shimelle Laine's journal your Christmas class. 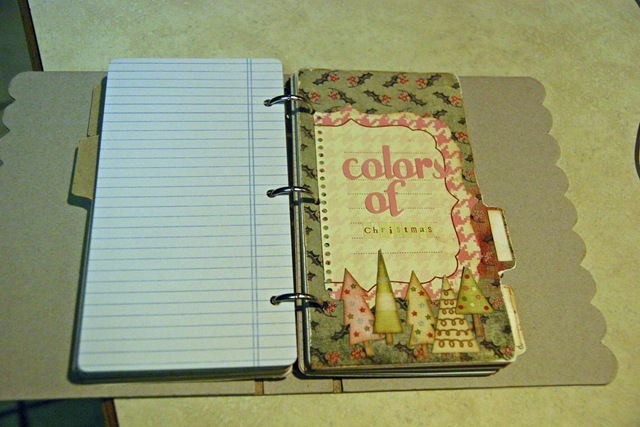 I also recently saw what Ali Edwards was doing with another Christmas journal. 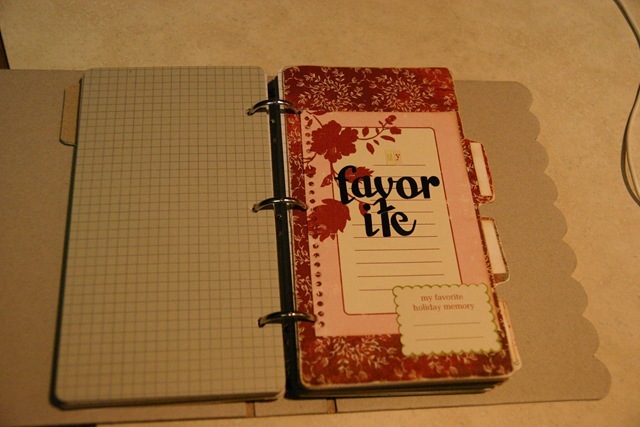 I love the fact of journaling each day in December all the events that take place before the holidays arrive. 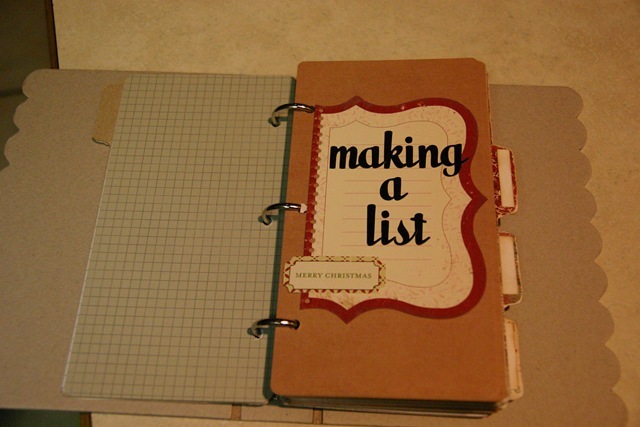 And so this was the inspiration for this journal, along with more of My minds eye papers and some of the Making Memories Fa la la la which will be ready for me to start filling on December 1st.